SLIP Plate® is proud to have all SLIP Plate® Superflake® lubricants registered with National Sanitary Foundation (NSF) under H2 category acceptable for non-food contact. 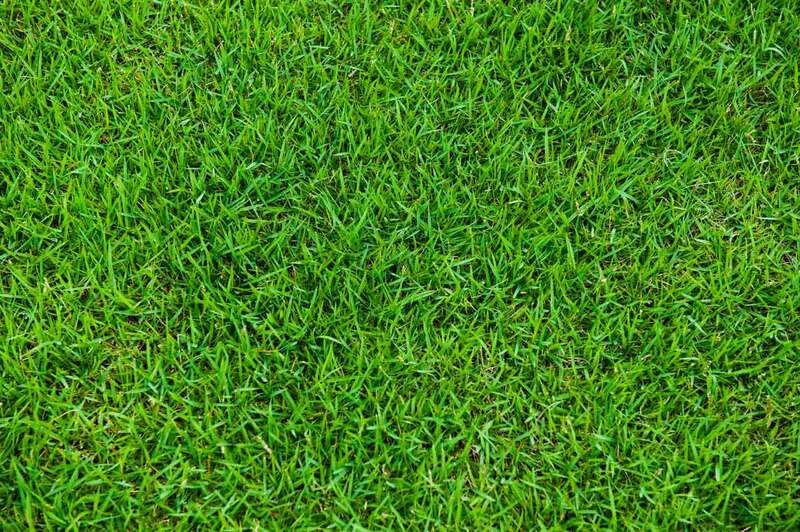 NSF is an independent, non-profit organization certifying products and establishing standards for food, water, and consumer goods. The NSF registration covers our SLIP Plate® Hot Oven Chain and Cold Oven Chain lubricants. Today, using Superflake® products will save money by decreasing the electrical usage and increase the life of the oven chain as compared to non-graphite based products. 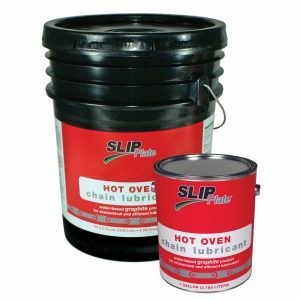 SLIP Plate® Superflake® Hot Oven Chain Lubricant is designed with a natural graphite that offers superior lubricity under extreme thermal conditions. This water-based emulsion can be applied while the chain is hot to deliver fine graphite particles into the tight spaces of the chain pins and bushings. This formulation carries unique binders that create a very durable coating and prolonging lubrication far more effective than other competitive products. 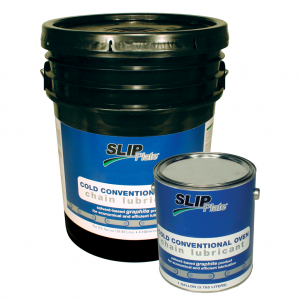 SLIP Plate® Superflake® Cold Oven Chain Lubricant is a light, oil-based suspension that works well with process chains in cold temperature applications like refrigerated applications. This product also carries graphite to the parts of the chain linkages to provide a durable bond in the chain. Though the application might be different in temperature, the effectiveness of the graphite is the same: slippery, effective, and powerful.